A hair dryer is one of those essential items you don’t think much of until you actually need one. Maybe yours has broken, you’re travelling and the hotel room doesn’t have one or you bought the latest and greatest and it didn’t live up to expectations. You definitely don’t need to spend a lot on the best hair dryer and as you’ll see below we’ve bought, tried and tested five of the best that range in price from $20 through to $100. With hair dryers this affordable you can easily have one or two ready to use whenever you need to dry your wet hair. We’ve reviewed five of the very best hair dryers under $100. Some of these hair dryers are so affordable we’d even say they are an impulse buy. If you’re like me and don’t have time to sit and let your hair air dry, the Remington D3190AU Aero 2000 hair dryer will become your best friend. Whether you have thick or thin hair, this affordable hair dryer will work with your hair to provide optimal results. The concentrator attachment helps with drying as it spreads the heat through the lengths of your hair. This means that no piece of hair is left wet. A crucial feature of this hair dryer which allows you to dry your hair fast and style it every day is the powerful 2000-watt motor combined with 6 switch combinations; 3 heat and 2 speed settings. 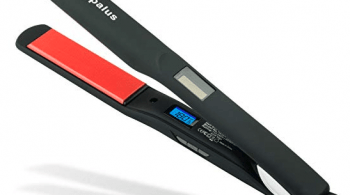 An added bonus to this device is the cool shot capability of the dryer that locks in your hairstyle for a longer period of time and gets rid of the frizz. So, if you’re looking for an affordable hair dryer that is guaranteed to make sure you leave the house looking flawless each time, the Remington D3190AU Aero 2000 is the way to go. #1 Recommendation: Best Hair Dryer Under $100. 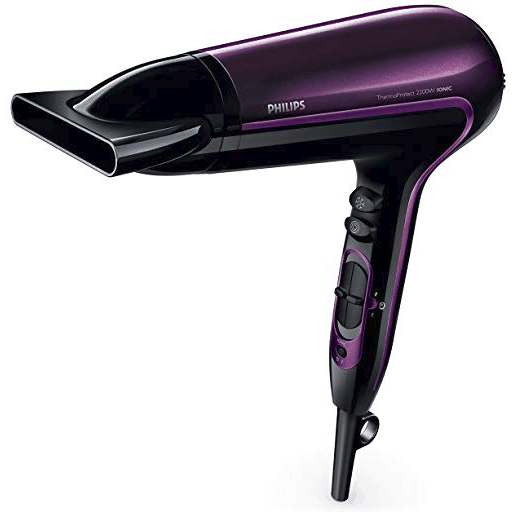 This stylish purple hair dryer from Phillips is perfect for anyone wanting salon finish results from the comfort of their own home. This hair dryer has 6 adjustable speed and temperature settings that allow you to have full control. Not only does it use 2200 watts to dry your hair, but it includes a turbo boost function that increases airflow for extra fast drying. A unique feature of this hair dryer is the ThermoProtect functionality that provides you with the optimal drying temperature whilst protecting your hair from overheating. This way you can make sure that you are getting the best results from your hair dryer, without having to worry about damaging your hair. Another way this hair dryer protects your hair is through iconic conditioning. The charged negative ions eliminate static from your hair, conditioning it in the process and leaving your hair shiny and glossy without the need for hair products. 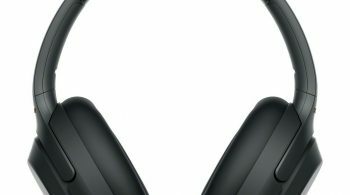 The Philips ThermoProtect HP8233 comes with 2 attachments; the Ultra Slim Styling 11mm Nozzle and the Asymmetric Massaging Diffuser. The later allows you to concentrate the flow of air to precisely style your hair whereas the former spreads out the flow of air to boost the volume and reduce frizz. Additionally, the textured pins massage your scalp to improve hair vitality. This product not only dries your hair but provides a whole salon experience for your hair and scalp. This product could easily have been our best hair dryer for under $100 and was a close comparison with the Remington. When you’ve got the VS Sassoon Salon Pro 2400 at home, you won’t go to the salon for a blowout ever again! 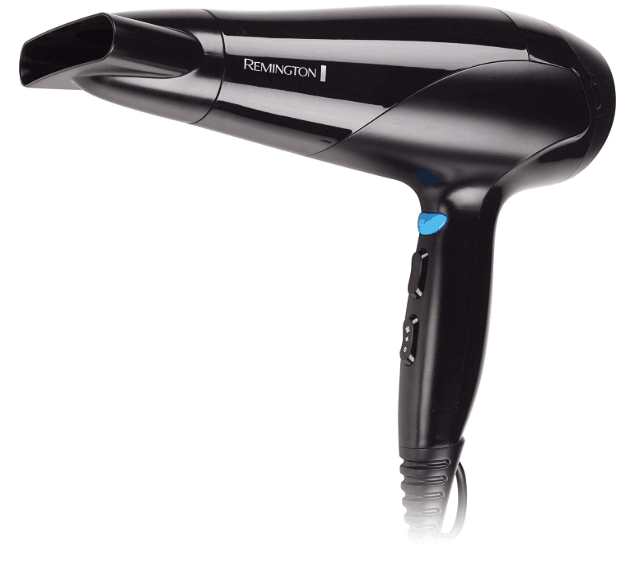 This sleek, black hair dryer is powered with 2400 watts to give you voluminous, smooth, frizz-free hair. The ionic conditioning feature of this dryer, combined with the ceramic styling brush allows you to smooth out the frizz while you dry your hair, making it more manageable. This means you can get salon finish styles in the comfort of your own home in no time, with no hassle. 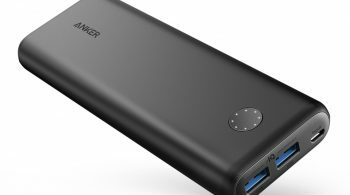 If you’re always on the go like me, saving time is crucial and this product will do just that. 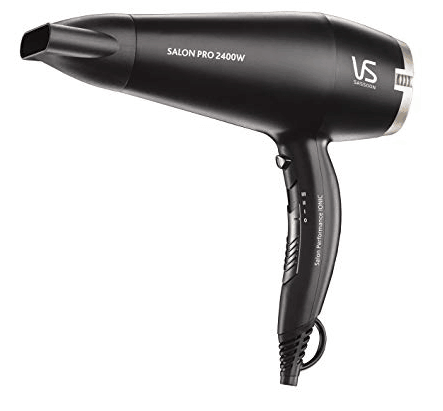 The VS Sassoon Salon Pro 2400 has 3 heat and speed settings, letting you choose the optimal finish for your hair. In order to lock in your hairstyles, you can use the cool shot button to hold your hairstyle in place throughout the day. This means you’re not spending countless moments touching up, but rather enjoying your day knowing your hair is looking its best and is fresh as ever. Considering all the functions offered by this hair dryer, it is super lightweight so it won’t feel clunky in your hands when styling. 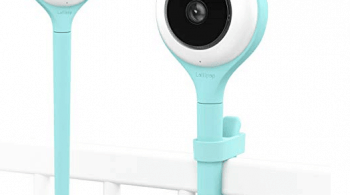 Creating hairstyles at home just got a whole lot easier! The Philips DryCare Pro BHD176 the is one hair dryer that gives me guaranteed professional results all from the comfort of my own room. This means that I don’t need to step outside my door to get voluminous locks that celebrities have. Not only is this hair dryer powered with 2200 watts of drying power, but it also features a built-in AC motor which reaches up to 95km/hr of airspeed, giving you dry hair fast with professional results. You can adjust the hair dryer to any one of the 6-flexible speed and heat settings, giving you full control to style your hair. This hair dryer is lightweight, so you’re able to maneuver it with ease and comfort. 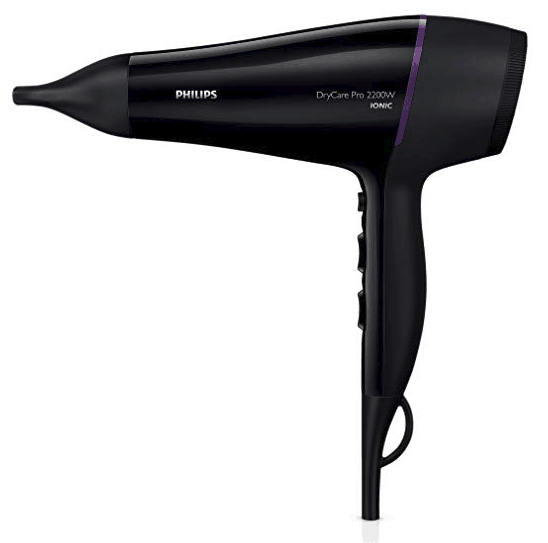 The Philips DryCare Pro BHD176 comes with two attachments; a 7m styling concentrator and a volume diffuser. The concentrator nozzle lets you precisely style your hair in specific areas and works well when drying and styling with a hairbrush. On the other hand, the volume diffuser spreads the flow of air while drying, giving you a voluminous frizz-free finish. Once you’ve used either of those attachments, you can lock in your hairstyle like a professional with the cool shot function. This stylish purple VS Sassoon 3Q Compact Digital Dryer has ultra-fast airflow, reducing your drying time drastically. The unique brushless digital motor uses magnets and electronics to provide up to 3000hrs motor life with 2000 watt drying power, ensuring a consistent and powerful airflow every time. Coupled with 3 heat and 2 speed settings, the VS Sassoon 3Q Compact Digital Dryer lets you style your hair in minutes with ease and control. You can style your hair with greater precision by using the concentrator attachment and lock it in with the Cold Shot feature. To top it off, the high ionic ceramic conditioning reduces the static and frizz in your hair, leaving it styled to perfection while keeping your hair protected at the same time. Styling your hair like a professional has never been so easy! A great feature of this hair dryer is the quietone noise reduction so you can dry your hair at any time of the day without disturbing anyone around you. 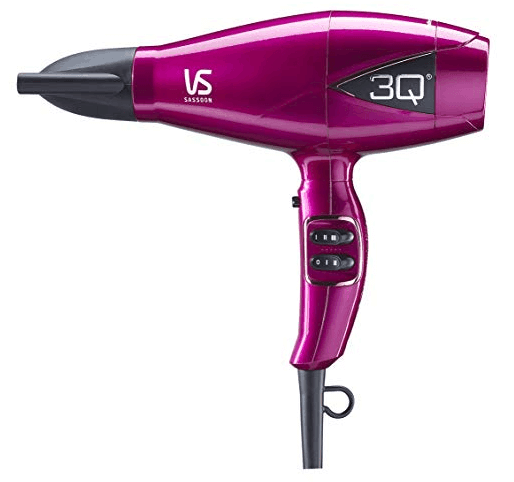 For a fast, quiet hair dryer that is guaranteed to give you a great finish, the VS Sassoon 3Q Compact Digital Dryer is the way to go. Now that you know the best hair dryers under $100 you should checkout our other buyer guides, reviews and advice. A passionate blogger, mum of three and expert in product design. She's studied extensively in Shanghai and now lives in the Gold Coast running her own business.